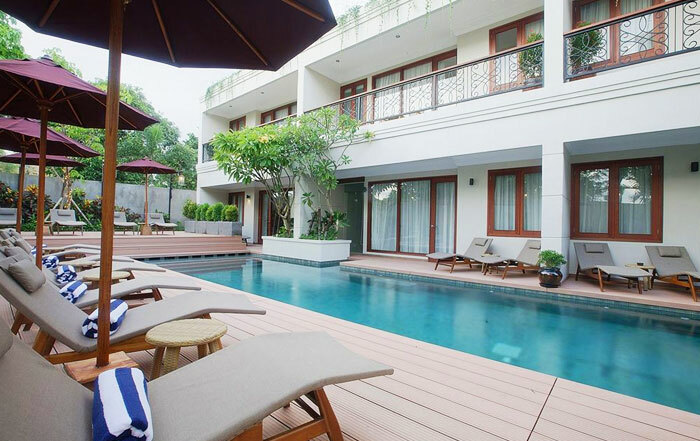 Seminyak Lagoon All Suites features stylish accommodations surrounding a 40-metre lagoon,suitable for leisure travellers exploring Seminyak, the shopping capital of Bali. with surroundings of beaches, dining places, shopping areas, ensuring the best spot for travelers to take a break. 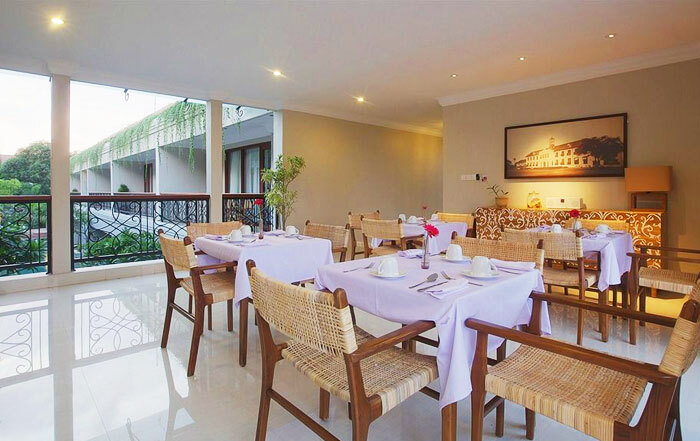 Seminyak Lagoon Bali All Suites Hotel is in the vicinity of popular city attractions such as Randelli Gallery, Bali Deli, Lita Gunardi & The Backyard Lounge, Mamasan Restaurant and Double Six Beach. Also, the hotel is 5 minutes drive from Bali Deli, 10 minutes drive from Oberoi Street and 25 minutes drive from Ngurah Rai International Airport. Take advantage of recreation opportunities including an outdoor pool and a fitness facility. Additional features at this hotel include complimentary wireless Internet access and tour/ticket assistance. Enjoy a meal at a restaurant or in a coffee shop/café. Or stay in and take advantage of the hotel's 24-hour room service. 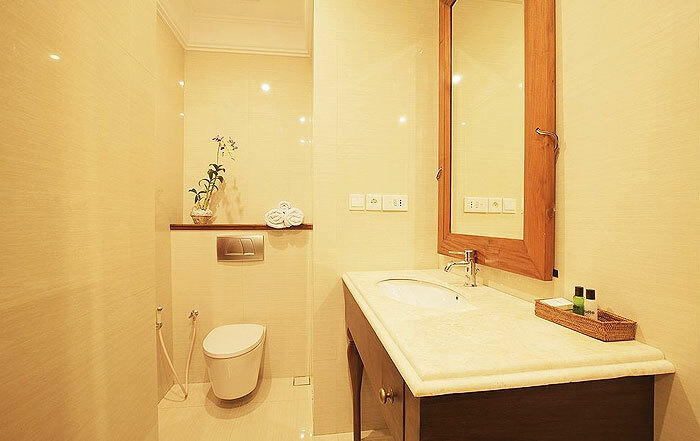 Within these attractive 19 rooms provide a range of amenities such as in room video games, balcony/terrace, seating area, in-house movies, and kitchenette. Guests are ensured to have activities to do such as fitness center, outdoor pool. 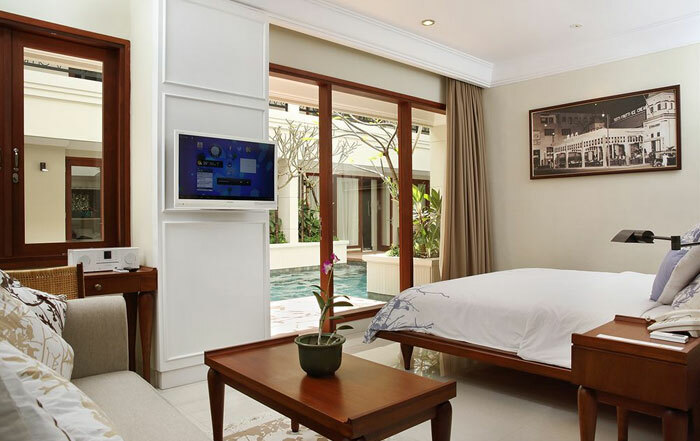 All in all, travelers will gain an unforgettable experience professional service and a wide array of features at Seminyak Lagoon All Suites Hotel.